A built-in sensor will automatically determine and set the optimal time and temperature depending on the dishes you cook. 12 auto preset cook options will allow you to use it for many other cooking tasks beyond simply reheating food leftovers. The appliance is somewhat bulky due to its high capacity. The Panasonic NN-SN966S Microwave with inverter technology is a top quality model that can be used as both free-standing and built-in oven. 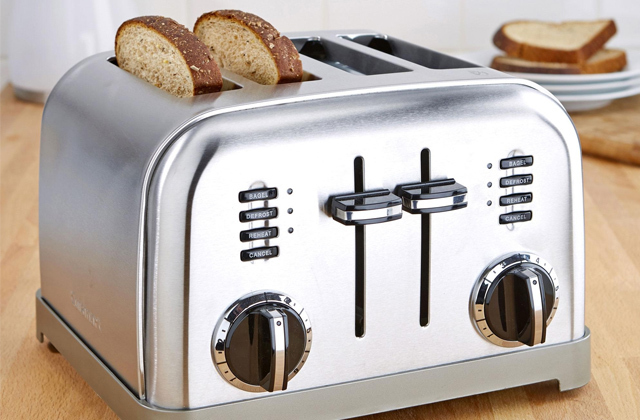 It has several power modes and a defrost system and heats food several times faster than its rivals. Perfect choice both for beginners and professional cooks alike. Electronic sensor controls with LED display. There are specific programs in this oven to cook fresh, frozen, and even canned vegetables. Also, many users are pleased with programs for cooking healthy meat dishes, more specifically stew and ground meat. The numbers on the display may not be very clearly visible at a certain angle. 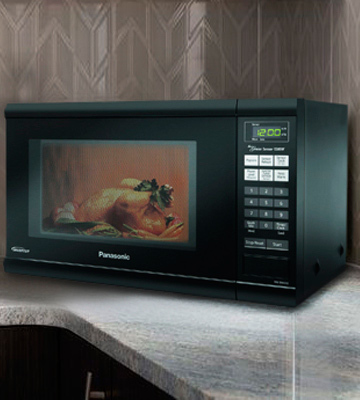 The Panasonic NN-SD745S Inverter Microwave oven is an irreplaceable assistant on every kitchen. This is a perfect appliance for those who don't have enough time to prepare meals for the whole family. Thanks to the Timer, Delay Start, and Defrost functions, the cooking time will be several times faster. With the abundance of automatic modes and an option for popcorn preparation, you will be able to cook literally anything. Also, you will always be able to quickly and effectively reheat or defrost food. Fingerprints might be rather noticeable on the door. 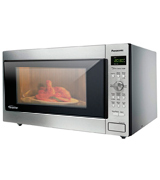 The NN-SN686S built-in microwave oven has a stylish design with a Half Mirror door and offers great productivity. The necessary cooking mode is selected using an intuitive control panel. The oven complies with the 2016 DOE energy efficiency standards. 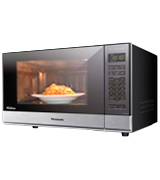 Panasonic microwave oven features a patented inverter technology that ensures quick and even cooking. The inverter power unit is fairly small and doesn't cut the inner appliance capacity. The interior light remains off if you just open the door and will turn on only during the unit operation. This microwave oven uses innovative technologies that allow you to cook delicious and healthy food. All your meals will be perfectly cooked, nothing will get burnt and all ingredients will keep their nutrients. Your food will look appetizing and taste delicious. The functionality of this model will allow you to add a few more minutes (up to 10) to the timer if you want to get extra browning. No matter what kind of products you put into the Panasonic NN-SD372S oven, they will be reheated quickly, evenly and, most importantly, with minimal effort. The inside capacity is not very big so this model will become the best choice for a couple. Two things you will like about the Panasonic NN-SN966S at the first glance are its sleek, modern design in stainless steel and intuitive controls conveniently located to the right of the unit. However, these aren't the only merits of the model. In contrast to many rivals that can be used only as countertop models, the Panasonic NN-SN966S provides two installation options - you can both place it on a counter or build it into a wall or your kitchen cabinet. Plus, if there are little kids in your family, you will be pleased to know that there is a child safety lock in this model. However, it's not only its easy-to-install design that makes the Panasonic NN-SN966S one of the top-sellers. 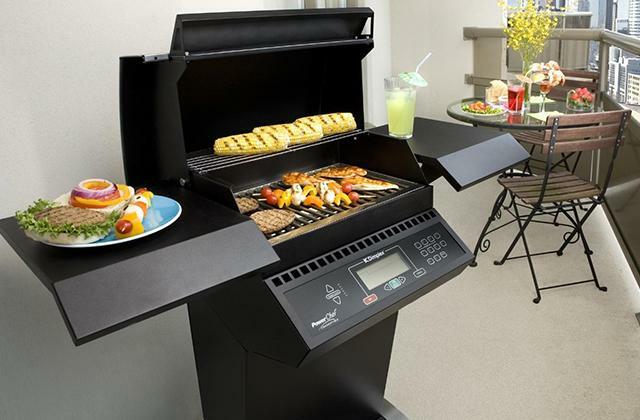 Other reasons behind its popularity include its capacious cooking chamber, high power, and outstanding functionality. This model boasts a 2.2 cu.ft. cooking chamber capacity that is almost twice bigger than what you get from the range. Add to that a 16-inch turntable and what you get is a microwave with ample room for cooking several servings of food or even baking whole poultry, if you choose. Now, the Panasonic NN-SN966S is not only generously-sized, it is also very powerful. 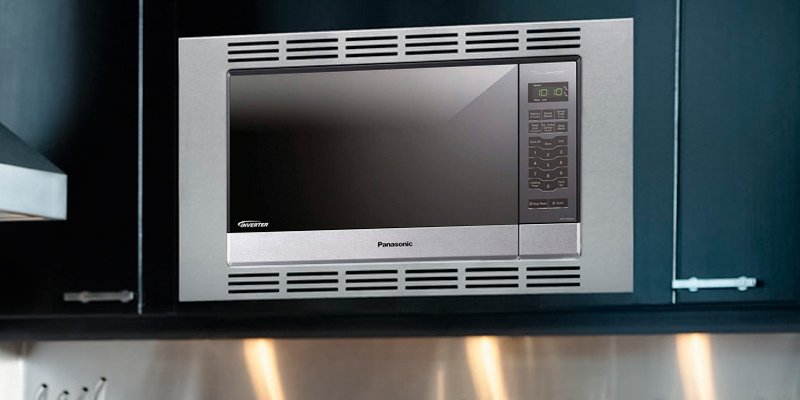 With the power of 1250 Watts under its hood, this microwave is able to greatly expedite the cooking process, and the patented Panasonic inverter technology will make sure that you get perfect cooking results, regardless of the type of food you place inside it. In addition, the Panasonic NN-SN966S offers 10 power levels and several preset operation modes for cooking, preheating, and defrosting foods. Also included is a "Keep Warm" function. In all, the Panasonic NN-SN966S has a lot going for it. It's functional, powerful, and cleverly designed. So if you need an appliance that will offer you much more than its rivals, you'll be hard-pressed to find a better choice. All ingredients differ in density and texture. Hence, cooking time and power for different meals and foods also vary. And if you are not much into microwave cooking it might take you a long time and a number of botched dishes until you find a perfect balance between time and temperature settings. The Panasonic NN-SN966S will do this work for you and take the guesswork out of the cooking process. The model features a built-in sensor that will automatically set the needed time and temperature in accordance with the type of food you cook and offers 12 auto cook options with function-specific buttons making food preparation way easier. 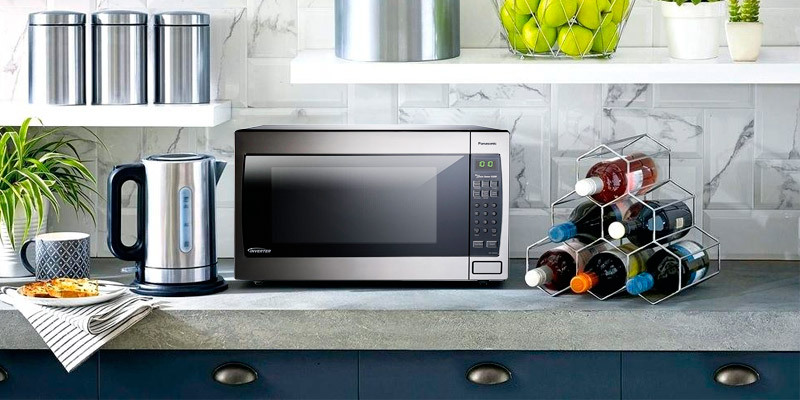 Regardless of whether you're cooking your favorite food or testing some new recipes, with this genius microwave from Panasonic you will always achieve fantastic results. To begin with, this microwave oven can perfectly deal with common tasks, such as defrosting ice cold products and warming up your meals. If your menu consists of frozen entrees and ready-to-cook dishes, look no further, because this oven will reheat your food to the right temperature thanks to the built-in sensors. You don’t need to worry about burning your meal. However, the functions of this oven go far beyond that. 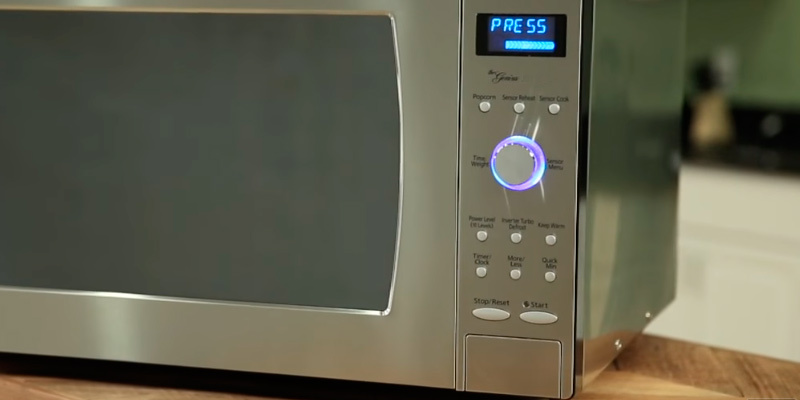 There are plenty of microwaves with an auto cook option, but sometimes it might be hard to find one that is able to prepare a tasty and healthy dish. Fortunately, the Panasonic NN-SD745S can provide your family with a delicious dinner full of nutrients. Thanks to the additional options, this microwave is able to cook breakfast sausage and a delightful stew. Moreover, with this helpful device, you can easily prepare various dishes with ground meat. Among its other advantages, there are plenty of options for preparing fish and vegetables (canned, fresh, and frozen). A big advantage of this model is its decent capacity of 1.6 cu.ft and a turntable of 15 inches. Basically, this means you can fit a fairly large dish in it. Fitted with ten power levels and multiple cooking options, this device also comes with a powerful 1250-Watt motor. 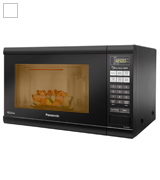 The Panasonic NN-SD745S microwave oven features convenient keypad electric controls with a dial and LCD display, however, the numbers on this display may not be very clearly visible at a certain angle. It is an irreplaceable assistant for people who cannot afford spending much time on cooking yet enjoy having tasty meat dishes in their daily ration. If you want to have a healthy and delicious meal, there is no doubt you might spend quite a lot of time cooking. Sometimes you just don’t want to spend hours in the kitchen due to different reasons, such as lack of time, tiredness or simply laziness. And that’s when the Panasonic NN-SD745S might become extremely handy. 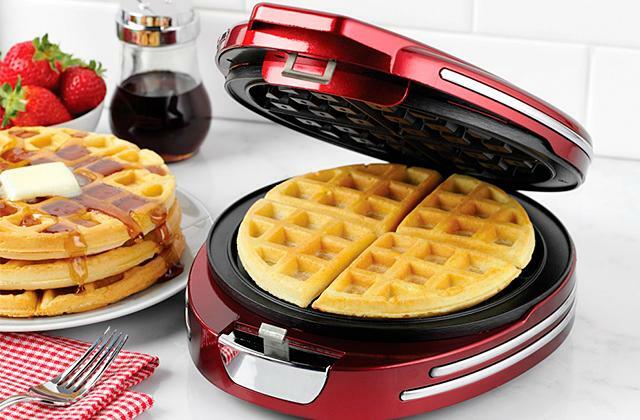 This particular model comes with a huge amount of different cooking options. 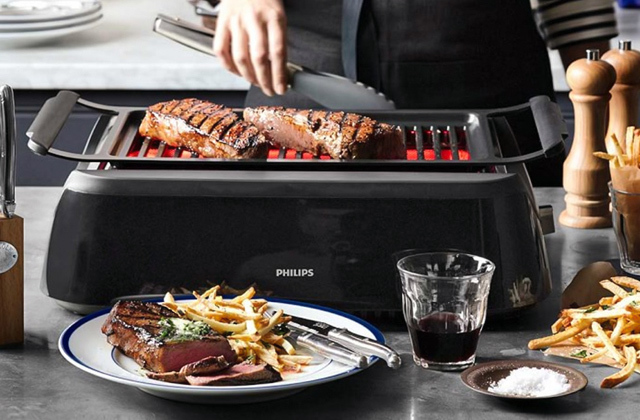 As we've mentioned before, this microwave oven can effortlessly cook meat and vegetables. Moreover, now you can have nutritious healthy breakfasts every day and enjoy oatmeal or omelet with breakfast sausage. Need to cook dinner for a big family? 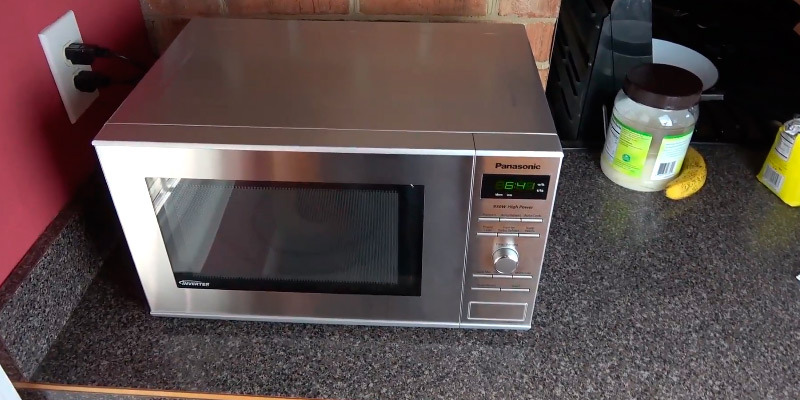 Thanks to this microwave you can serve them tasty soup, potatoes, rice, or pasta. Furthermore, if you want to have a quick snack, this microwave has modes for frozen entrees, pizza, and sandwiches. Last but not least, it is worth mentioning that this model comes with three options for cooking everyone’s favorite treat - popcorn. Small size and cute design aren't the only strong suites of this model. Panasonic is the brand name that's best known for manufacturing smart and high-quality products. And the NN-SN686S is not an exception. 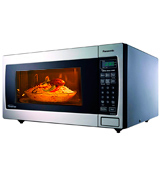 This Panasonic microwave comes packed with impressive power of 1200 Watts and has a number of options creating an exceptional cooking experience for you. The oven in questions boasts 14 auto cook modes, 3 Popcorn cooking options as well as food defrosting and reheating modes so you can cook your favorite foods across a wide range of cooking techniques. It has a smart sensor which determines the exact cooking power and temperature so that the food will not be overcooked at the end. Also, it uses Panasonic inverter technology for even and consistent results. Thanks to all these, the food retains maximum juices, flavors, and nutrients while taking considerably less time to be cooked. Among other useful features, this microwave oven is fitted with an inverter technology. Thanks to the advanced inverter turbo defrost you won't be waiting long hours until your food is ready for cooking. It will take you only a few moments, even if you have just taken them out of a freezer. 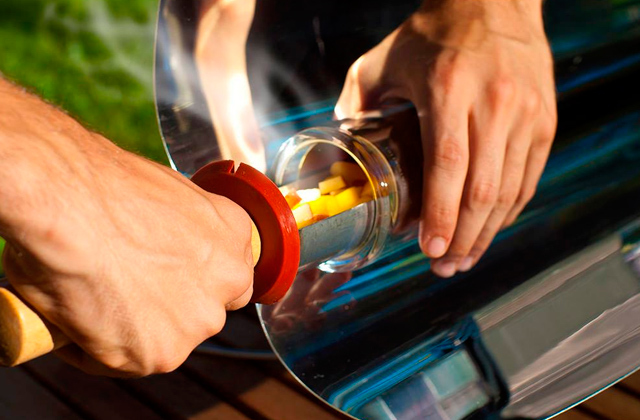 In addition, this model is fitted with built-in sensors that allow you to keep food warm. Moreover, they adjust time and power of cooking depending on the food. Plus, thanks to these sensors you don’t have to worry about overcooking delicate dishes since the microwave is able to distribute the energy in a way that food will be lightly simmering. 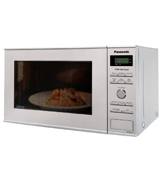 All in all, the Panasonic NN-SN686S microwave oven is a convenient and helpful device with many features. It comes at a reasonable price and will become a perfect addition to your kitchen both design- and function-wise. Modern microwave ovens are used not only for heating or defrosting foods. These kitchen appliances help us cook different meals very quickly but there's always that minor issue - uneven heating. Now, you've got a solution! The Panasonic NN-SN651BAZ uses an inverter technology that creates a steady stream of microwaves allowing you to cook foods evenly and boasts a decent power of 1200 Watts to cook faster. 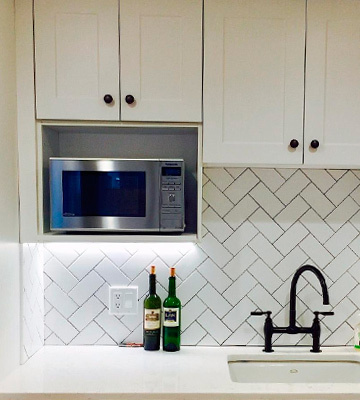 Therefore, you will spend less time in your kitchen while cooking delicious meals. This inverter microwave oven offers 12 Auto Cook options that greatly facilitate the cooking process. The menu with sensor touch buttons doesn't look busy and it's easy to select the needed icon. The Panasonic NN-SN651BAZ being the inverter type provides you one more benefit - unlike with conventional microwaves, this one will defrost food in next to no time. Having covered Panasonic's NN-SN651BAZ performance, let's turn to its design. We were pleasantly surprised with how the manufacturer managed to squeeze such a cutting-edge hardware into a compact housing with a footprint at 15.8 x 20.7 x 12.2 inches, requiring minimum space on a counter. Thanks to this, it's a sound choice for small kitchens. Moreover, it features a convenient little adjustment of a child safety lock. Packing powerful performance and innovative technologies that not all expensive models can rival, the Panasonic NN-SN651BAZ is a quality appliance at a very attractive price. As we’ve mentioned above, the inverter technology will let you cook some delicate dishes you won’t be able to make with non-inverter models. Soft muffins, creamy mousses, perfectly cooked fish fillets, and a lot more other dishes will come out from the Panasonic NN-SN651BAZ cooked to perfection, delicious and appetizing. An omelet is one of the most popular breakfast foods. Normally, you would fry scrambled eggs and they might get burned on one side or scorch to the pan. And there is also a risk to overuse oil. An omelet from an inverter microwave is a kind of a culinary masterpiece. It looks fluffy and perfectly keeps its airy structure. No uncooked areas or hot spots, just ideally tender and smooth texture and excellent taste. All you need is to whisk egg mixture, melt some butter, pour egg mixture over warm butter, and cook it using an "omelet mode". The whole process will take no more than 5 minutes. 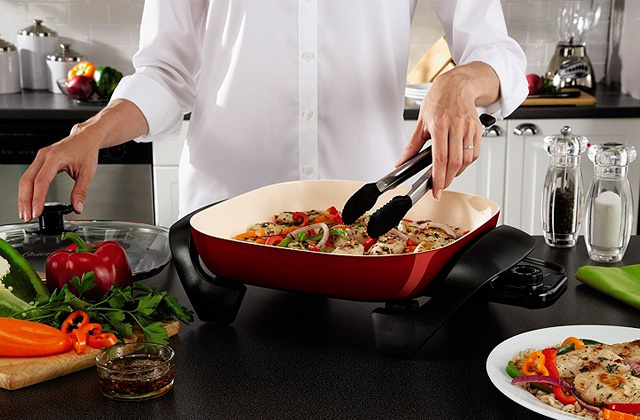 With the NN-SN651BAZ, you can cook fresh tasty omelets for the whole family at any time. Meanwhile, by adding different stuffings and fillings and serving it with a variety of sauces, you can greatly diversify this dish. The choice is almost endless, from spicy, juicy, and savory treats to creamy and sweet flavors. I bought this microwave because it has a sensor, which works as I expected.. Put in a plate of cold food, press Sensor Reheat, and no matter the quantity of food it will heat it up the right amount of time to get the right temperature. I like the simple numbers to set the time. I have gotten used over the years to press 11, 22, 33 seconds and so on, fine tuning the amount of time while minimizing the button presses. I LOVE the inverter technology. Foods heat up evenly and water boils faster. Despite having a bigger interior than my last microwave, it takes up less space. I love the all white on the front of the microwave (my previous microwave was black in front). I can easily see the food in the microwave while it is running - the light stays on. The power has been increased from 900W in our previous model to 1200W, so everything cooks faster. This compact microwave oven will become a great complement to your kitchen if you are limited in space. 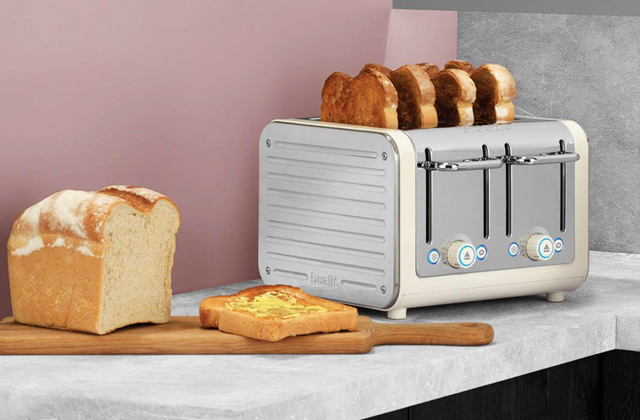 It is relatively small compared to other models, nevertheless, it still can boast an impressive amount of functions and cooking options. 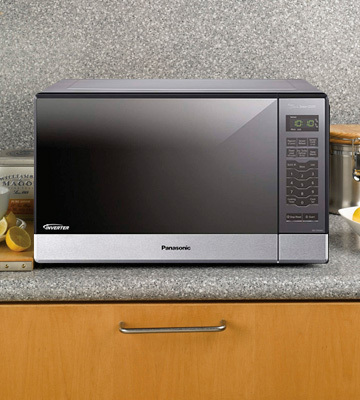 Made of stainless steel, the Panasonic NN-SD372S microwave has a minimalistic industrial design. On the inside, it has an enameled surface that is extremely easy to clean. This model comes with keypad electric controls with dial and LCD display and can be positioned both on a counter and as a built-in microwave. 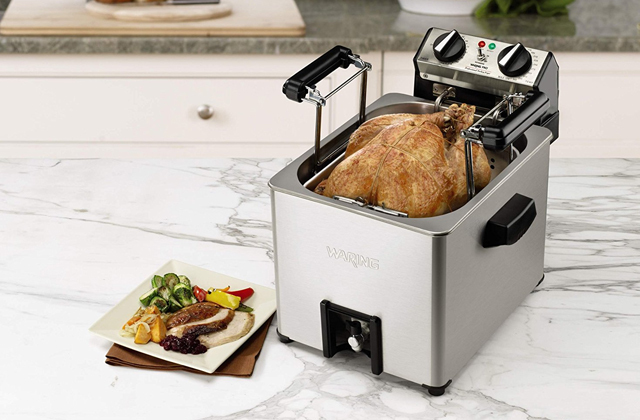 The capacity of this model is 0.8 cu.ft and the motor power is 950 Watts, which might not seem like much, yet it is powerful enough to meet all your cooking needs. The diameter of the turntable is 11.25 inches, which is just enough to fit an average dinner plate on. 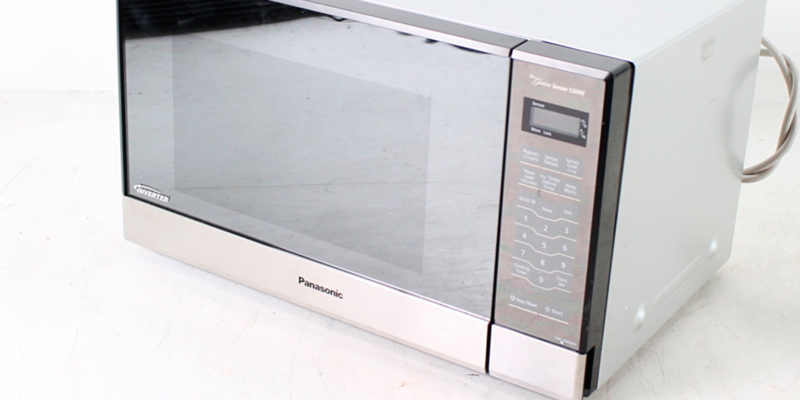 Along with the other Panasonic microwaves, this model has a number of different features. There are 10 power levels with sensor cook and reheat, plus the convenient function of Auto cook/reheat and Keep warm. There are also "More/Less" control buttons that allow you to adjust the cooking power to your preference, which gives you more control over cooking. The functionality of this model will also allow you to add a few more minutes to the timer if you want to get extra browning. The Panasonic NN-SD372S microwave oven will be the best pick for a busy couple who don't want to waste their time cooking. 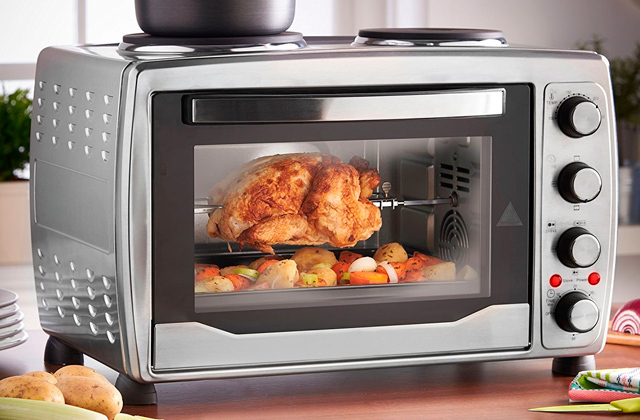 This oven can easily prepare delicious meals for two thanks to the inverter technology it employs. 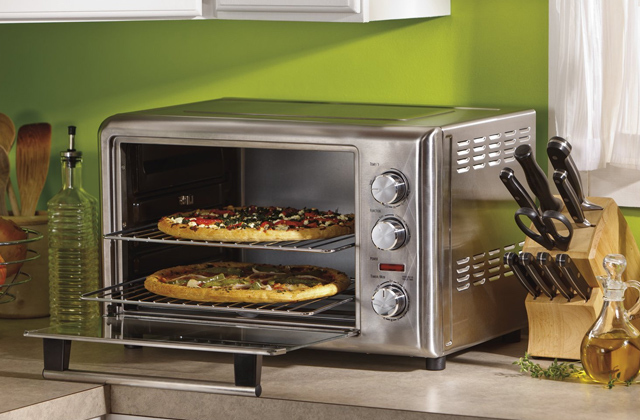 The cooking options that come with this microwave will provide you with multiple tasty dishes with no effort. 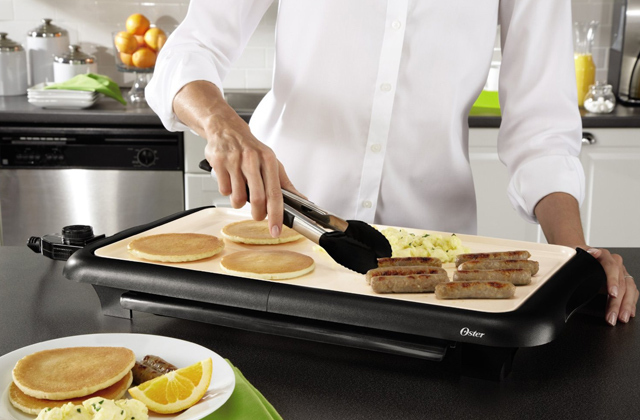 Thanks to this device, you can enjoy omelet and sausage for breakfast without standing over the stove. If you had a tiring day at work and you crave some delicious pasta or want to sit in front of a TV with a slice of pizza in the evening but the idea of long cooking doesn’t seem pleasing at all, there is no better help than this microwave. If you prefer to have a healthy meal, this device can cook potatoes and other vegetables and keep them tasty and full of nutrients. Furthermore, the major plus of this Panasonic model is that you can cook not only food but also beverages in it. No matter what kind of products you put into the Panasonic NN-SD372S oven, they will be reheated quickly, evenly and, most importantly, with minimal effort. The inside capacity is not very big, that's why this model will become the best choice for a small family. Nowadays there are plenty of appliances that will significantly help you with your household chores. If you don’t want to deal with the tiring process of cooking, you might consider buying a microwave oven. 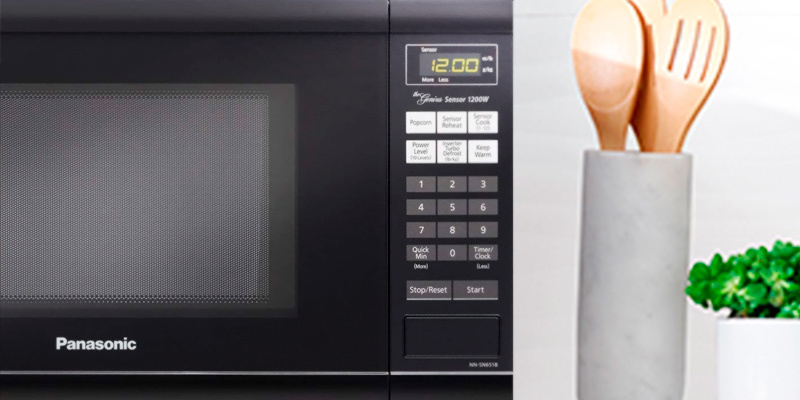 Microwaves can reheat and defrost food in no time, but despite the common misconception, their functions don’t end at that. Some models come with multiple modes and options that will allow you to drastically reduce the time of your cooking and make it completely effortless. You won’t have to stand over the hot stove anymore. Defrost your products first if necessary, put all the products into the oven, select the mode, and the machine will cook a dish for you. Meanwhile, you can mind your other business. It is a perfect option for those who don’t enjoy cooking at home or simply have no time for it. The huge advantage of such cooking is that your food will not only taste great but also keep all the nutrients. Plus, there is also a huge selection of built-in microwaves on the market, and such devices will become a perfect addition for those who are limited in space. Also, an over-the-range microwave might be a good solution. There are plenty manufacturers on the market that produce kitchen appliances, including microwaves. But one of the most famous giants of the electronics industry is the Japanese corporation Panasonic. 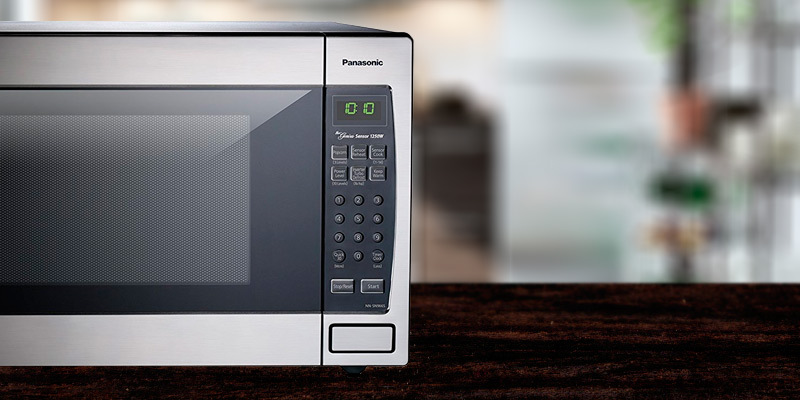 What makes Panasonic microwaves so popular is that they usually come as combi that can perform much more functions than simply heating and defrosting food, most all of them fall in a mid-price range and they all can boast of high quality and durability. That's the reason why Panasonic microwave ovens, as well as most other products, hold a special spot on the market. So if you want to enjoy delicious healthy home-cooked meals without putting too much effort, you should definitely think about purchasing a microwave. 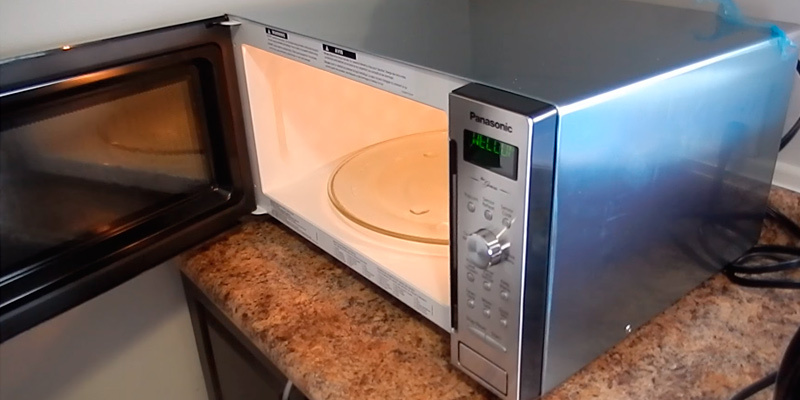 When buying a microwave, there are some things you should keep in mind. Try to decide in advance what features you expect to see in your microwave, this will make the process of comparing models much easier. Pretty much all microwave ovens come with an abundance of different functions, so they are suitable for different options. There are some models that allow you to just defrost and heat food. Such ovens are normally on the cheaper side. If you want to use a microwave for multiple purposes, you should definitely check some models that can offer you multiple cooking options. Another important feature that you need to take notice of is the capacity of the device. If you live alone or have a small family and you are not going to cook in it, you can choose a smaller one; an oven with the capacity around 1 cu.ft will be just enough for you. However, if you intend to serve a huge dinner for a large family on a daily basis, it would be more convenient to buy a microwave with a big amount of different modes and a bigger capacity. Next, don’t forget to pay attention to the wattage. The bigger the capacity of your microwave is, the higher the wattage. If you are looking for a powerful device where you can fit a lot of food and prepare it nicely, see that it be higher than 1000 Watts. Now, let’s not forget about usability. 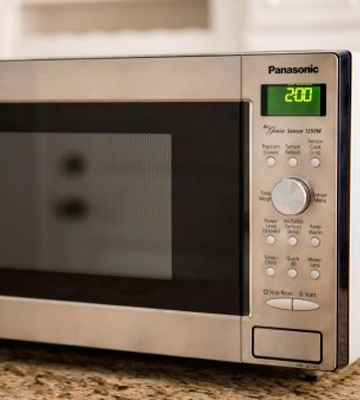 If you want to choose a perfect microwave that will become a great help in the kitchen, take into consideration how fast and convenient it actually cooks food. To begin with, pay attention to the inner surface. Most of the models usually come with enameled surfaces, but microwaves with ceramic surfaces can be found as well. The difference between the two of them is that the enameled ones are easier to clean from all the greasy stains and splatters. The ceramic surfaces, on the other hand, guarantee you a long-lasting service. Moving on, let’s discuss the controls. 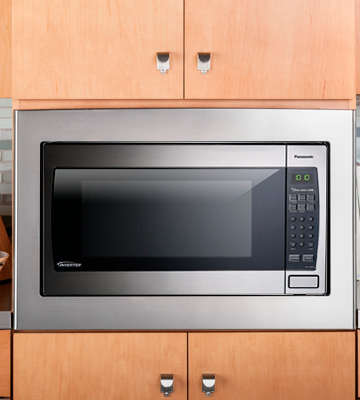 Microwave ovens can come with a few different types of controls, such as a sensor, mechanical, and push-button. Nowadays most of the models come with sensor control with LED or LCD display. Even though it is not as reliable as mechanic control, it is still very convenient. 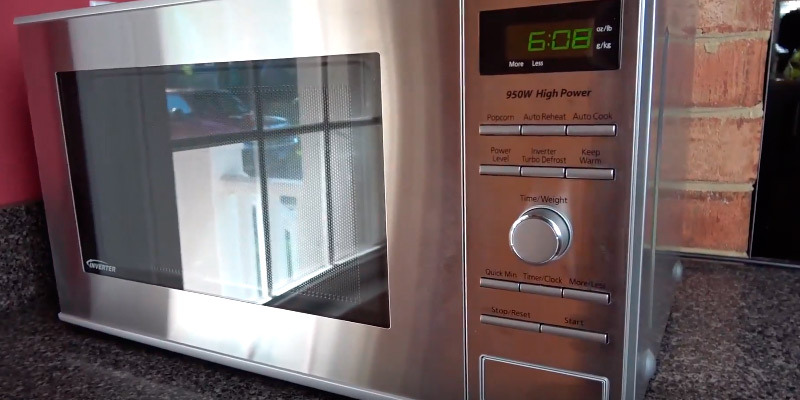 Last but not least, probably the most noticeable difference between the various models of microwaves is their special features. If you want to cook plenty of dishes, look for the microwave that will allow you to reheat and defrost food, plus will be able to automatically cook dishes for you. Such adjustments are definitely a worthy investment since they will ease your cooking process several times. When the first microwave oven was invented, no one could actually think that they would ever become this popular. The creation of these appliances was caused by a “chocolate melting accident”. When the microwave oven was properly constructed, it was too big and bulky, moreover, it cost a fortune. That’s why these devices weren’t very popular until 1960. But even then they were mostly used in cafes and restaurants. Nowadays a microwave is a common appliance in almost 90% of houses. People agree that these ovens are the most helpful devices that simplify the household chores. 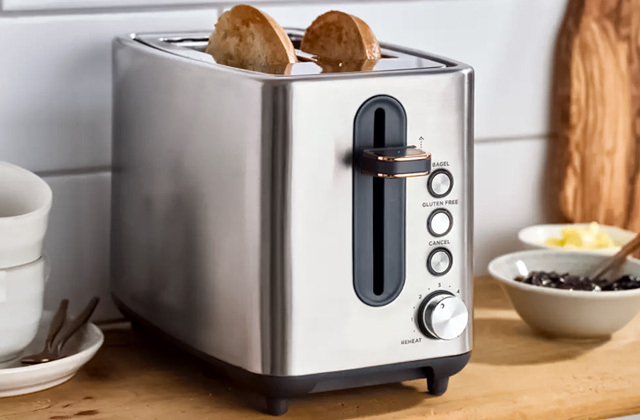 Over the years there have been many myths and controversies surrounding these appliances, however, manufacturers still continue to work and improve them. Now microwaves are capable of not only reheating food leftovers but also preparing a meal from scratch. There are also a few other options of how you can use your microwave to make your life easier, and we would like to share them with you. The internet is full of quick and easy recipes for delicious cakes and muffins. What is great, now you don’t have to use an oven and deal with a hot bulky baking tray to enjoy a piece of cake. 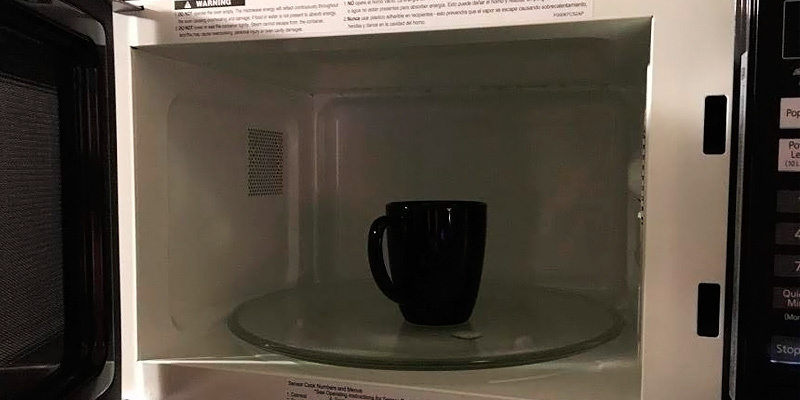 Just put a mug with the ingredients in a microwave, and you will have a tasty dessert in about 10 minutes. Everybody knows how annoying peeling corn or garlic can be. Just put a full head of garlic or a corn cob in a microwave for about 30 seconds, and the skin will peel off right away. Moreover, you can do the same thing with thin-skinned fruit or vegetables if you need to peel them as well. If you are tired of wiping away the streams of tears every time you cut an onion, microwaves can be a helping hand in this situation. All you need to do is cut off the tips of the onion and put it in the microwave for 30 seconds. Now you can forget about crying while cooking. When you want to treat yourself and enjoy some home-made bread, the process of making it might take a lot of time. With the help of a microwave oven, you can make your dough rise in a few minutes. Moreover, if you are left with some stale bread, microwave it with a glass of water for 10 seconds, and it will become soft again. Want to enjoy some potato chips in the evening? Or maybe you crave some peanuts, but you don’t want to waste time roasting them? Your microwave oven can provide you with some tasty snacks with zero effort. Cut your potatoes in thin slices, cover them in oil and spices, distribute in a thin layer on a plate and microwave from 3 to 5 minutes until they become brown and crispy. If you want to roast some nuts, put them in your microwave in a single layer and cook for a couple of minutes, just don’t forget to rearrange and taste them once in a while. Whenever you decide to treat yourself with some freshly squeezed juice, getting a lot of it from one lemon or orange might be challenging. If you don’t want to waste fruit and get every single drop of the juice in it, just microwave it for a few seconds. As you can see, a microwave oven is a versatile multi-functional device, and we hope our tips will help you use your device for more purposes.